Casting is a jewelry production technique often used to work in multiple and lower the costs of fabrication. This process is also a good way to introduce fine alloys into your jewelry with a lower initial investment. Prototypes for production can be made in wax or fabricated in metal. 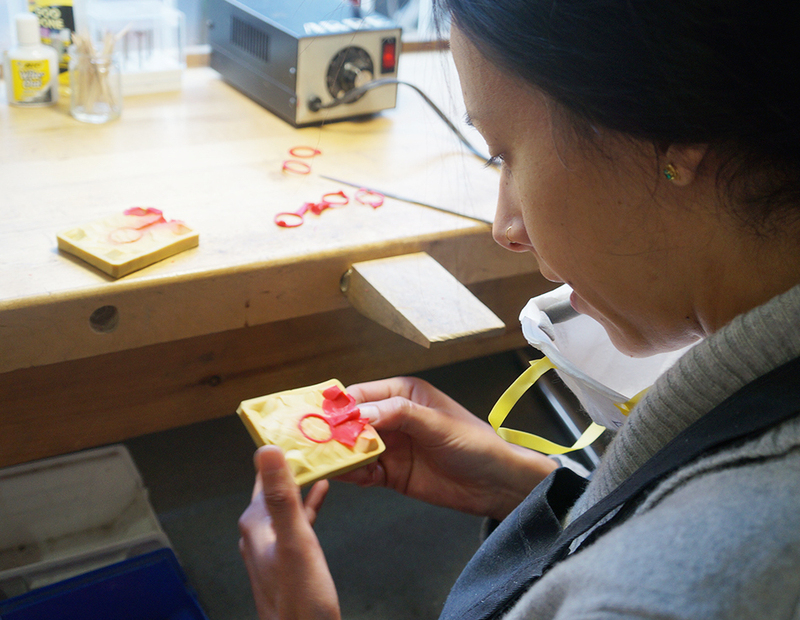 This course will guide students through the creation of master prototypes in wax, sterling silver, and/or copper to create jewelry in multiple. Techniques for wax carving and jewelry fabrication will be taught along with attaching sprues and preparing pieces for molding. Molds will be outsourced to a casting company. Cast multiples will be cleaned and assembled in the studio. Students will also learn how to make masters of more complex pieces that are molded in two or more parts to be put together to make a finished piece, troubleshoot casting and design problems, and finish efficiently. More advanced techniques such as casting stones in place, riveting, hinges, multiple solder joins, closures, and findings will be discussed. There will be an out of class field trip to a casting house in the diamond district. Because casting is done during the day, we will schedule this behind-the-scenes excursion for a Friday afternoon. This course is great for students who are interested in making small scale collections and will give a good overview of jewelry production. Some previous soldering experience is required.